Vocabulary ws that includes actions. 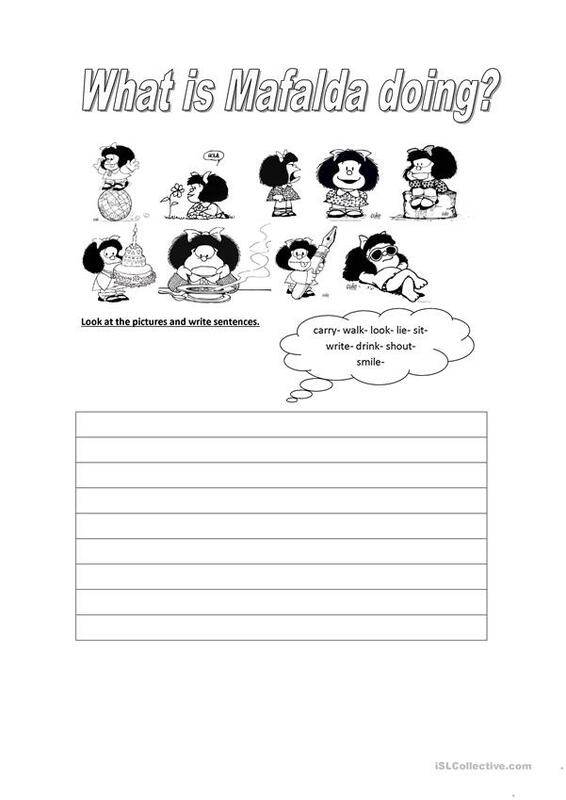 It has one task: Write sentences (reading, writing & spelling). Then, Ss can talk about them. The above downloadable worksheet is recommended for business/professional students, high school students, elementary school students and adults at Elementary (A1) and Pre-intermediate (A2) level. It is great for practising Present continuous (progressive) tense in English, and was designed for developing your learners' Spelling, Speaking, Reading and Writing skills.